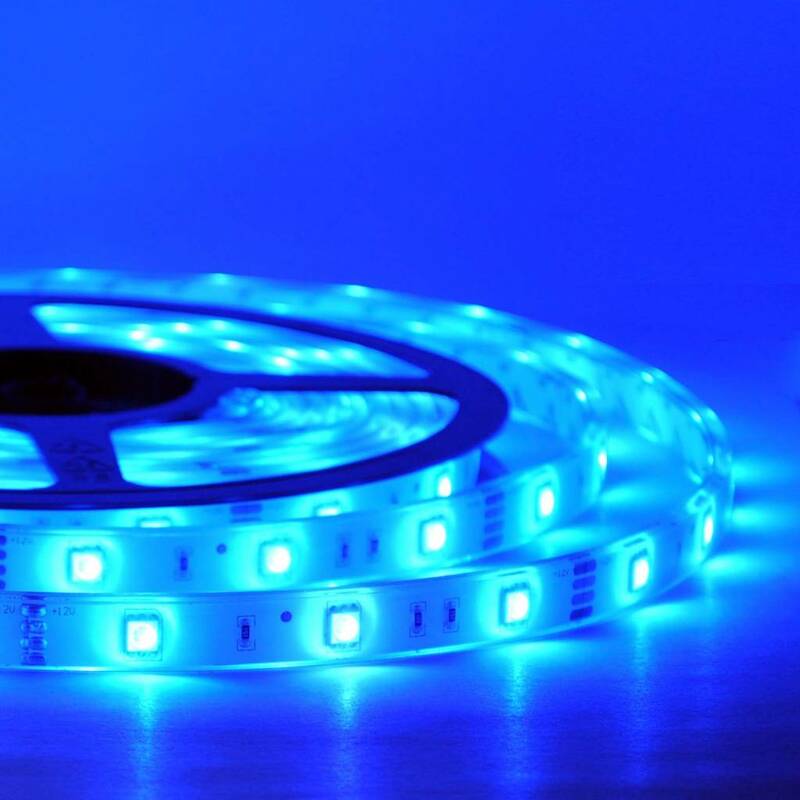 Waterproof flexible RGB LED strip. 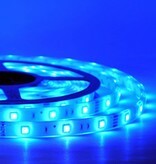 This LED strip is ideal for the handyman: You can cut the strip every 10 cm to create any size you need. 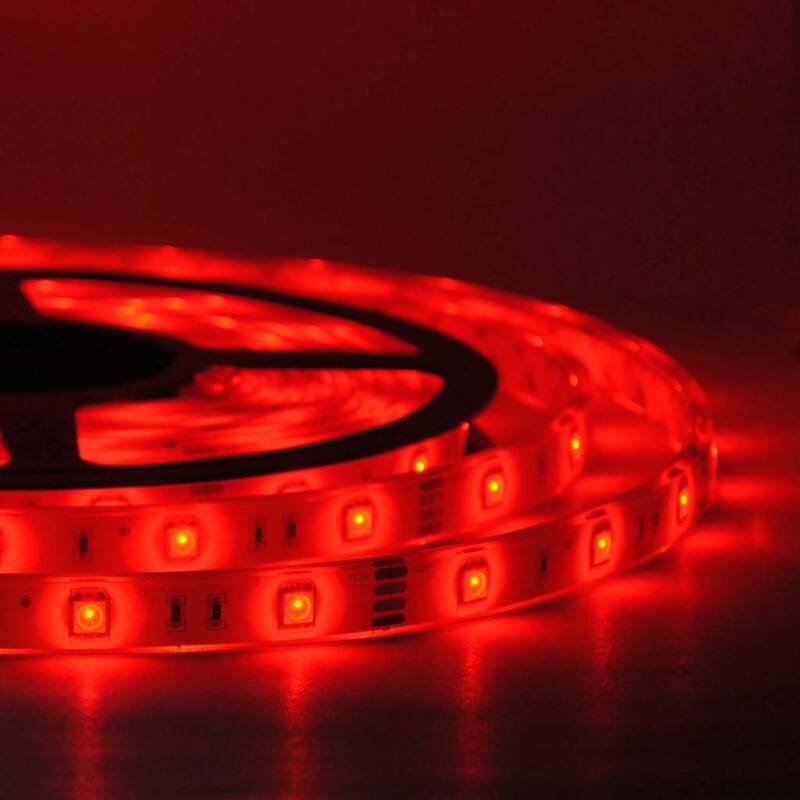 Moreover, this LED strip is extremely flexible and very narrow corners can be made with it. 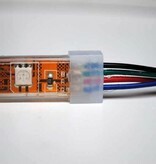 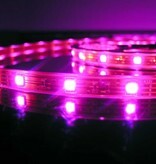 The power is supplied through the available soldering points, which can be found on the LED Strip every 10 cm. 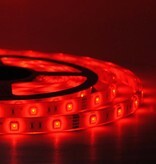 This LED strip contains 30 RGB LEDs Per Meter. 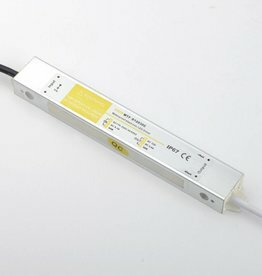 More than 50 meters: Use multiple power supplies in combination with an amplifier or contact us for advice and price. 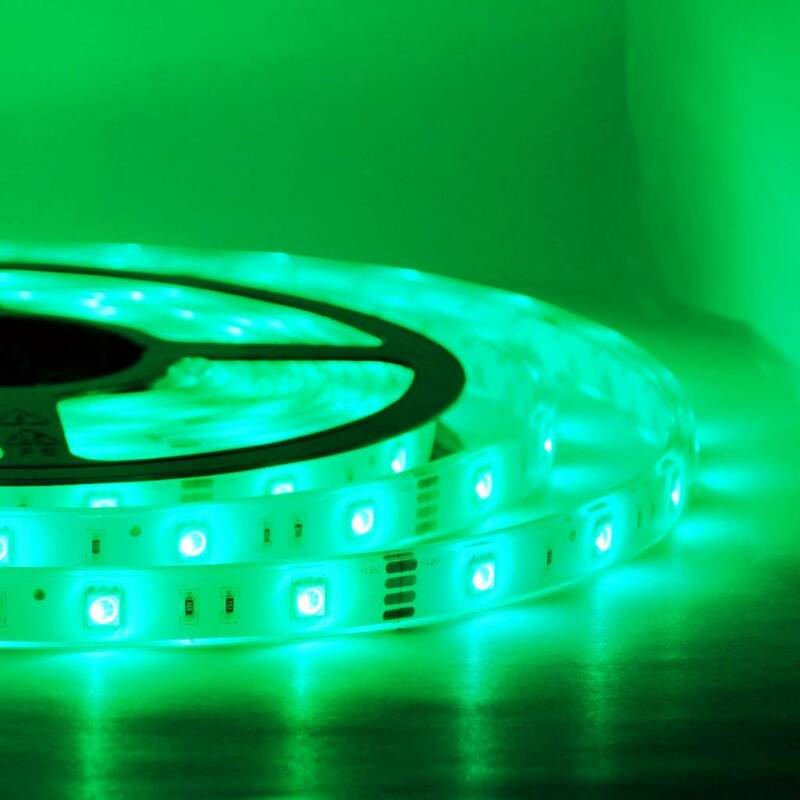 Note: Connecting one single length of more than 14 meters is not possible, due to loss of current inside the LED strip. 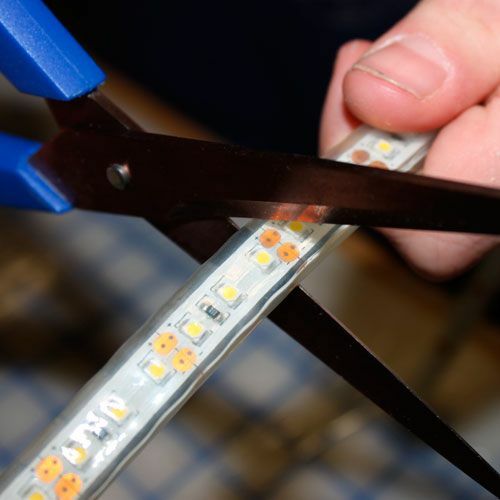 For lengths longer than 14 meters, the strip should be split up and powered separately. 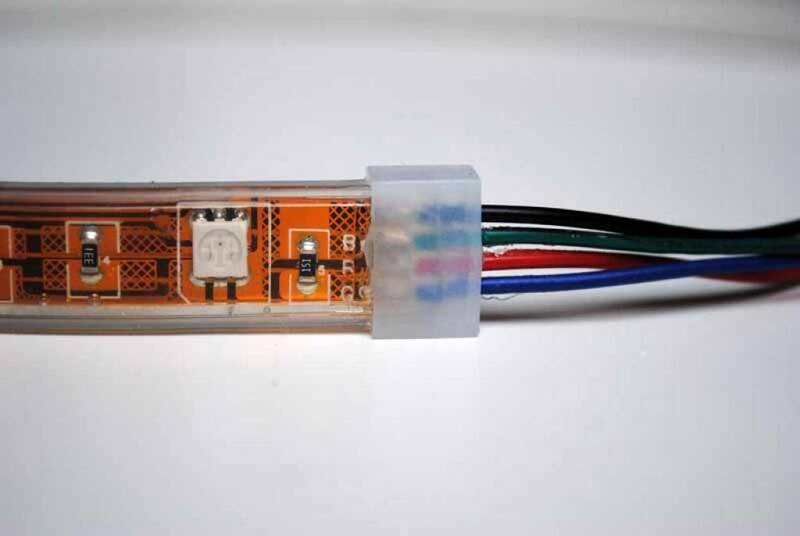 Also please pay attention to the maximum current of your RGB Controller. 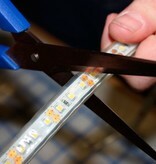 Usually this is around 144 Watts. 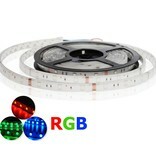 To connect more than 144 Watts of LED Strip to it, you will need to use RGB Amplifiers. 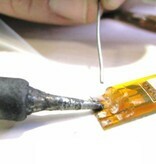 Please do not hesitate to contact us for advice! 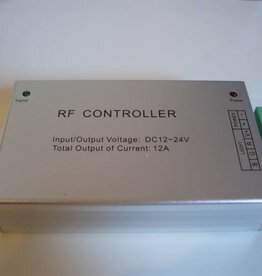 13.5 meters or more: Use multiple power supplies or contact us for advice and price. 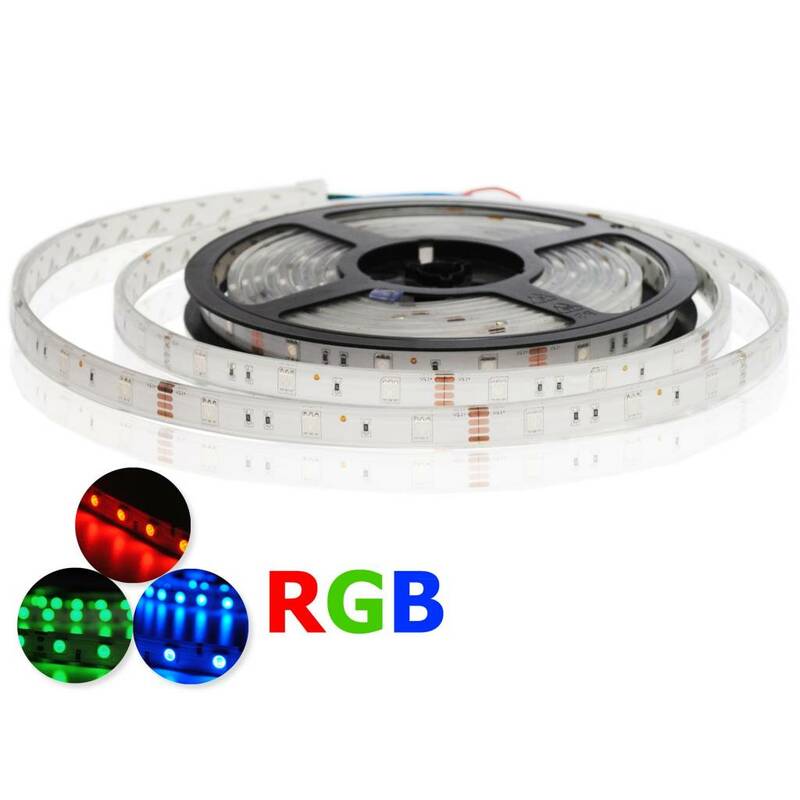 If you are searching for (RGB) LED strip with specific requirements, please contact info@buyledstrip.com for info and prices. 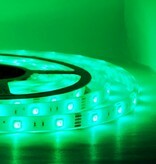 We can supply custom LED Strips of almost any type. 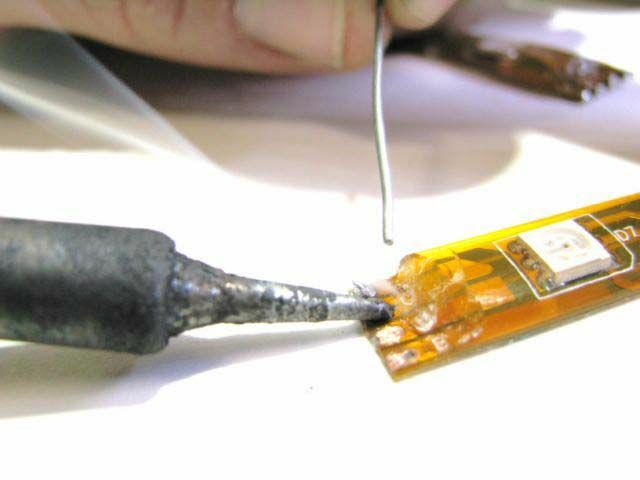 Prodotto molto buono! 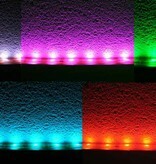 Come da descrizione. 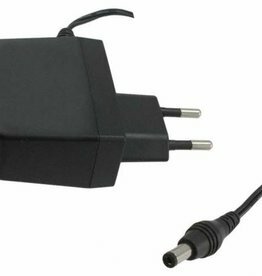 Lo consiglio! 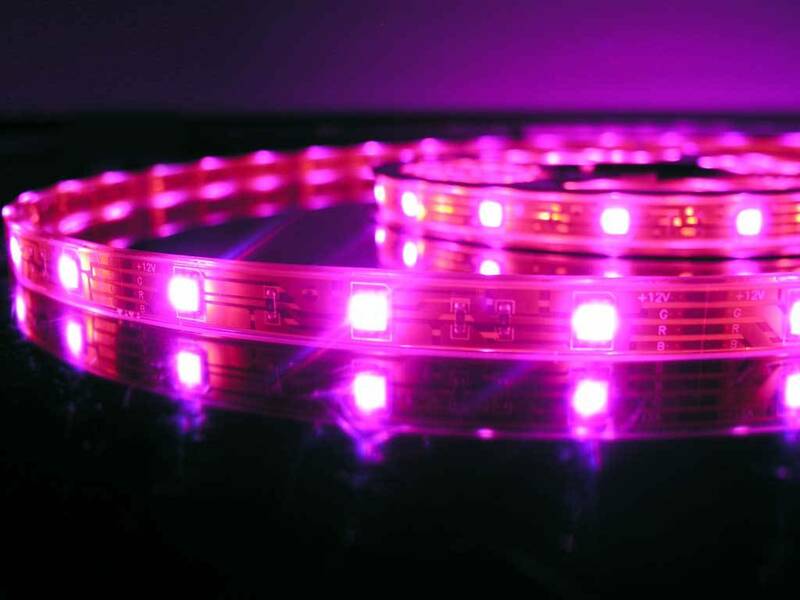 Ottimi Colori!! 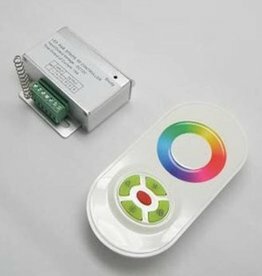 Además compré el alimentador impermeable y el controlador RGB y los cambios de color son fluidos y limpios. 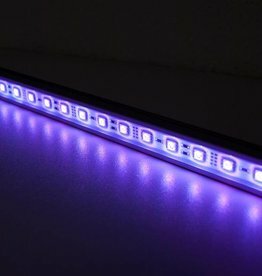 Deze led strips besteld voor mijn Aquarium verlichting, het betreft een klein aquarium dus de lichtopbrengst is ruim voldoende..
Samen met een tijd gestuurde rgb controller kan ik hier perfect zon,s op / ondergang en maanlicht mee simuleren..
Goede kwaliteit strip die goed is afgeschermd tegen water of vocht.